ThermoSeal®, the leading soft foam insulation and air barrier system, is becoming the industry standard for providing maximum building envelope performance. ThermoSeal®'s pour and spray formulations represent a breakthrough in the science of moisture and thermal management. ThermoSeal® is the leading 100% water-blown foam insulation that minimizes air leakage for increased energy efficiency, creates a healthier indoor environment, reduces airborne sounds and offers greater design freedom. ThermoSeal® maintains its performance with no loss of R-value over time. It does not shrink, sag or settle. ThermoSeal® adheres to most construction materials and is the perfect insulation for walls, attics, ceilings and floors. Applied as a liquid, ThermoSeal® expands to 100 times its volume in seconds to fill every crack and crevice while remaining flexible so that the integrity of the building envelope seal remains intact over time. 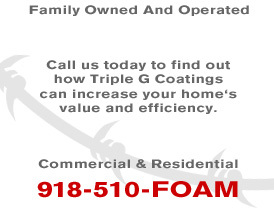 ThermoSeal®'s spray formula has an R-value of 3.6 per inch. It acts as a complete insulation and air barrier to minimize air leakage and seal the building envelope for optimal airtightness. ThermoSeal®'s pour fill variation is an insulation and air barrier that injects the latest building technology into an older building to maximize energy efficiency while still preserving its original architectural details. ThermoSeal® fills the wall cavity completely, starting at the bottom and slowly expanding upwards to 60 times its initial volume. Since ThermoSeal expands in the direction of least resistance, it will not expand outward and damage the wall. The pour fill formula has an R-value of 4 per inch. To learn more about the products we use in our installations, visit Spray Foam Polymers and Bayer Material Science.